Jimmy Kimmel, in his end-2018 Lie Witness News video, asks random people for their thoughts about the biggest fake-news stories of the year. These people admit they saw the news of the first woman astronaut to walk on the sun, Donald Trump wiping-out North Korea in a nuclear attack, and, well…watch the three-minute video. With voters like these, who needs Russia? Posted in Information & Automation, More than business. Tagged jimmy kimmel, robot, robotics, stupid americans, trump. AI disruption seems to have thinned the workforce for good. Now what? Where would we be if wheels were still square? If the Luddites kept machines out of textile mills? If the cotton gin didn’t decimate the pre-war Confederate workforce? Today, one has to wonder how many truck drivers will be able to find new work once driverless rigs rule the roads. Resentment of the coming “corpocracy” in which individuals lose their humanity. Likewise, I’m mixed about the impact of industrial robots, worth about $40 billion and pegged to top $71.72 billion by 2023. Companies choose to replace people when the technology is available because they’re a better-faster-cheaper way to go. 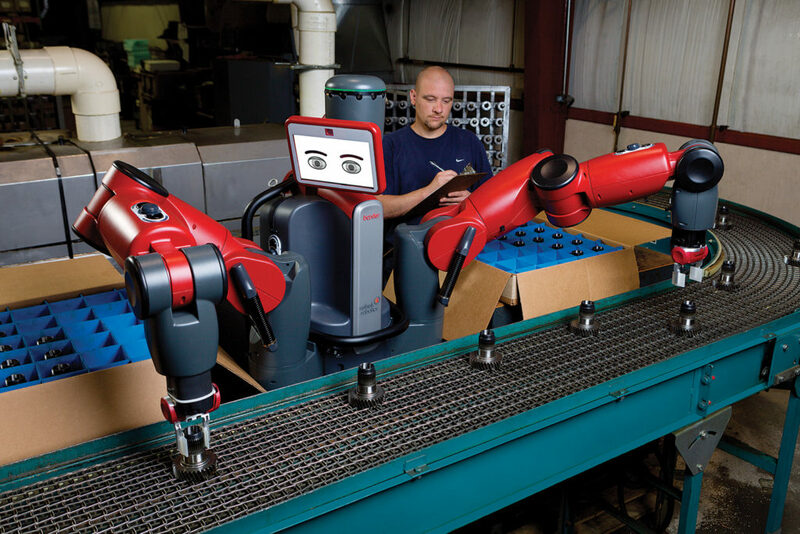 I was saddened at the demise of ReThink Robotics, maker of Baxter and Sawyer, the industry’s friendliest collaborative robots, or cobots. (collaborative robots). And I was glad the company was quickly bought-up by Germany’s Hahn Group. Rethink, a small player compared to leaders such as FANUC, ABB and Yaskawa, failed not for lack of demand, but in large part due to technical issues, if this RobotReport postmortem is accurate. Baxter (pictured) and brother Sawyer have a new parent in Hahn. Robots don’t call in sick, need healthcare, come in late or take days off. They do work when workers don’t want to, or can’t be found. And companies are bound by the need for competitive advantage and higher profits to use them if they’ll keep the shareholders happy. But again, the industrial workforce, once an engine of the middle class, is shrinking. The U.S. middle class: Doomed? Technology both eliminates and creates =jobs, but the former appears to be winning in the U.S. marketplace. What to do? Thought leaders across business, politics and industry have since given credence to the movement for Universal Basic Income, a flat payment to every citizen, to address poverty and job losses largely incurred by technological advancement. 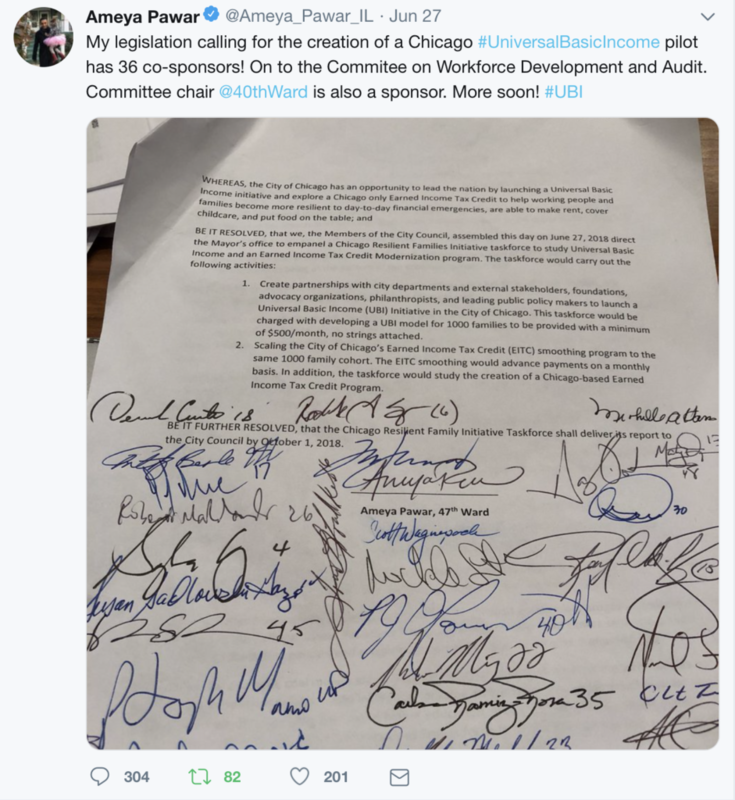 Chicago, future home of Universal Basic Income? The point — no offense intended to the editor who penned the caption! 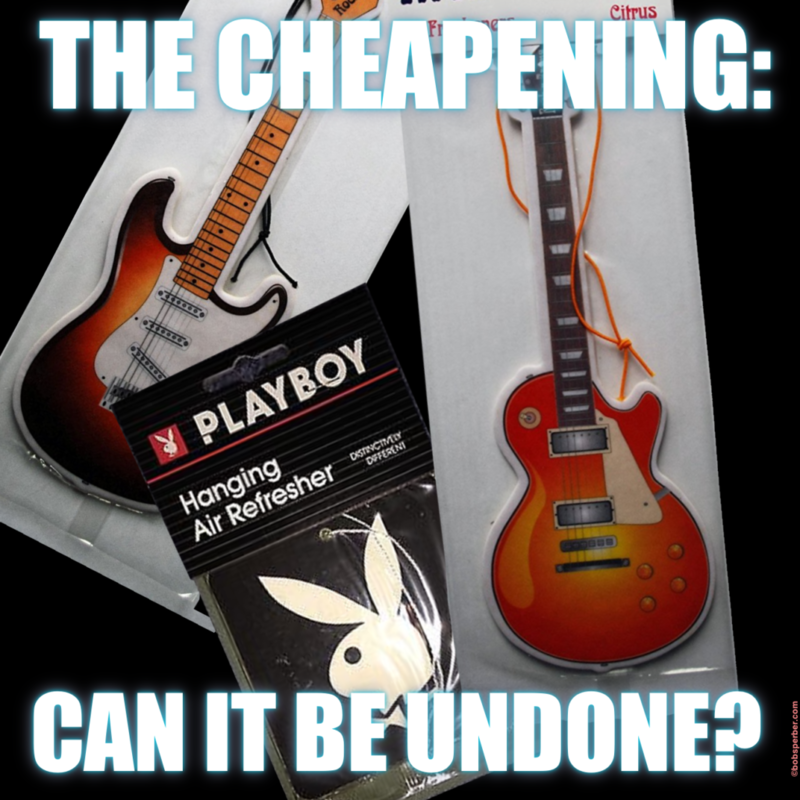 — is that companies can’t afford for their employees to be “themselves” in that we can’t have guitar players, poets or sewing circle meetings on the factory floor. 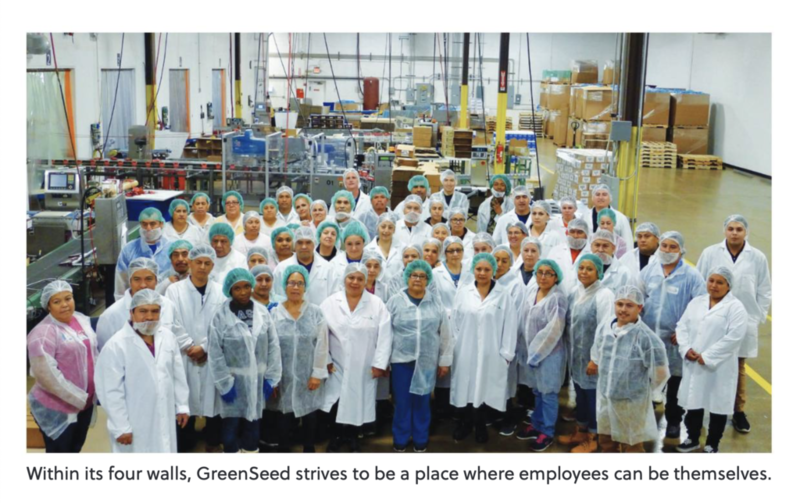 The employees pictured are essentially identical, down to their garb (as required by sanitary food handling rules). Their jobs are the same, too: to comply with uniform standards procedures. But if there’s no ‘i’ in TEAM,” there’s still something of a “we.” The ranks will thin, but there will remain a critical need for creative human minds to solve problems, even at the line level. Almost a decade ago I helped a manufacturing exec, Greg Flickinger, document a cultural transformation at food firm Snyder’s-Lance in Charlotte, N.C. His team reduced scrap 40 percent; reduced customer complaints 41 percent; and, among other good stuff, slashed production changeover time to save more than $300,000 annually. The human-machine interface, writ large over time, points to great gains and equally daunting challenges. Let’s face it: As a species, we’ve got a troubling historic myopia, and an immediate need to reconcile longstanding issues relating to our technology and economy, or techonomy. Posted in Information & Automation, More than business, Outsourcing, Uncategorized. Tagged automation, cobot, corporate culture, employment trends, hahn group, industrial automation, middle class, restructuring, rethink robotics, robot, robotreport, techonomy, ubi, universal basic income, workplace. 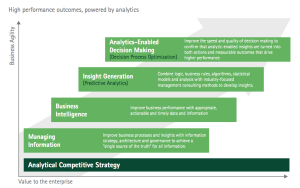 Posted in Food & CPG, How stuff's marketed, Information & Automation. A DYI ‘shroom farm? A fish-tank herb garden? “That’s the most disgusting thing I’ve ever seen,” the Whole Foods buyer told Nikhil Arora, who opened a big & stanky bag-o-fungus in the buyer’s office. To the young innovator, that bagful was the crown jewel of a new product he’d liken to a “next iPhone” for natural products fans. He was kinda right, as you’ll find out if you read the story — “Home mushroom farming, fish-gardening and other supply chain collaboration challenges,” — that I wrote when I saw Nikhil in my travels on the packaging beat. Over the next few years he found the right suphttps://www.packworld.com/article/contract-packaging/contract-packaging-news-trends/home-mushroom-farming-fish-gardening-andliers for his DIY mushroom kits and then a cool aquaponic fishtank-meets-herb-garden kit. New product to bow end-February 2015. 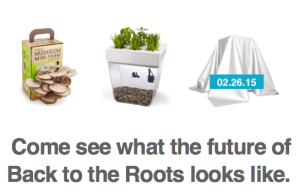 Now he Alejandro Velez, co-founders of Back to the Roots, are at it again; they’ll unveil a new product on February 26th. What’s it gonna be? I don’t know, but I couldn’t be happier to see these folks start so small and gain national distribution so quickly with such simple, honest ideas. Posted in Food & CPG, How stuff's marketed, Outsourcing. How’s the FDA’s new food safety rule affecting how food gets packaged? One of the hats I’ve worn of late is that of Editor of Packaging World‘s 2014 Food Safety Playbook for 2014 (as well as the preceding, inaugural edition). 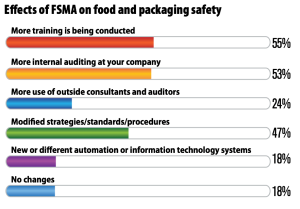 Among the updates packed into the 101-page e-book were the results of a brief survey of U.S. food and beverage product packagers done in Q1, gauging industry readiness for the U.S. Food and Drug Administration’s Food Safety Modernization Act (FSMA) now being implemented in rolling deadlines. 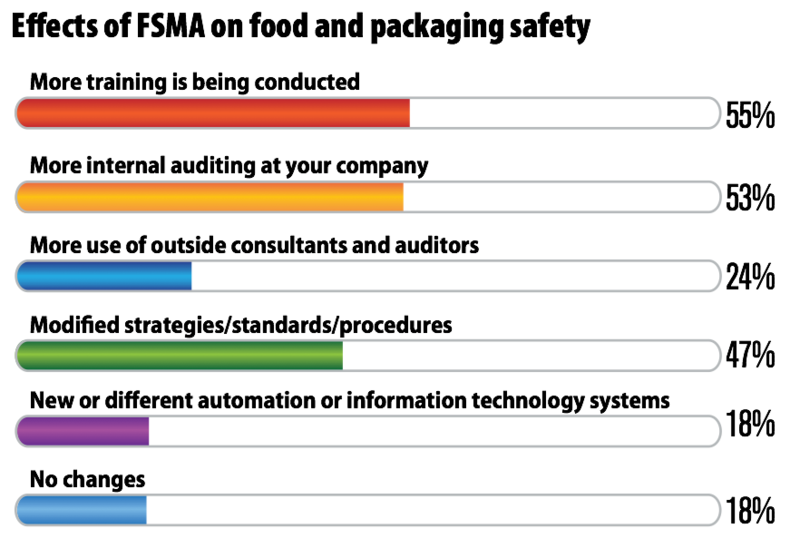 The results were optimistic; a large and in some aspects overwhelming majority reported that they have already completed the law’s key requirements into their food safety plans, or will in the coming year. In general, I think the law’s a good thing. If you want to discuss in depth, I’ll invite you to read the whole playbook, or be smart enough not to have to — in which case I’ll refer you to someone with first-hand knowledge of the law, and of food safety. I was once certified to be a food safety guy in the dairy industry, but really, was no expert. Ever. Be forewarned; I don’t divulge all of the results in this story, but there is a link to the full playbook at that link. If you’re in the industry, I hope you won’t mind having to register to get the playbook for free. Posted in Compliance, Food & CPG.